above all, the top brands, and one or two other segments here and there, our window displays leave nothing to be desired; nothing wanting. They are just as capricious. But why not use the same care and attention to detail to setting out store of foodstuffs? 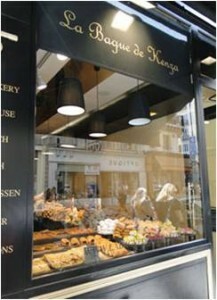 Bakeries, sweet-shops and even butcher shops could be much more charming and attractive to the customer. We suspect that the explanation is more down to cultural motives, as well as to certain paradigms. There are of course economic aspects involved, as the mounting of such window displays requires investment, as much in window dressing decoration and furniture, as in the training for the window dressers themselves. But, sincerely speaking, we don’t believe that these are the real barriers to a greater proliferation of the art. We prefer to believe that we Brazilians do not develop this tradition for the following reasons. Firstly, because the Brazilian middle-class tends not to get around so much on foot, unless we are talking about inside the shopping malls, where it is less typical to shop for food (outside the supermarket) for the simple but sheer lack of options. Apart from that, there is a possible belief, on the part of some traders, that many shoppers feel embarrassed about entering a well decorated shop, as they judge the prices there must be higher (which could be true – a strategic error). Finally, we find that there is a lacking in the small Brazilian retailer toward the tradition, culture and, indeed, valuing of this practice which is further linked to the lack of trained labor in the window-dressing area. The foremost function of a shop window is to display the products in a way as to inform the potential customer of what is being traded, and further awaken and attract their attention and interest towards buying – this is the so-called “stopping power”. This “stopping power” (in shopper marketing terms) is the start of the process that goes on to become “holding power” (the power that the display has to make a person pick up a product) and which ends with the “closing power” (the power of the conversion into sales – the power of persuasion) – the prime objective of any consumer product display. 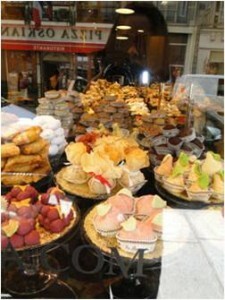 In this context, retail specialists believe that well-dressed window displays are responsible for up to 50% of sales. Added to that, up to 80% of brand decisions made by shoppers are taken at a point-of-sale, and a window display with high “stopping/holding/closing power” certainly has an influence in such decisions. In other words, there is an enormous opportunity here to be explored, without any need for great amounts of investment, and which could bring significant returns for retail (and retailers), not to mention that it simply makes the shop environment more elegant (without necessarily becoming too sophisticated). For all this, what is needed is some training, a little good taste (which doesn’t cost a cent more) and that some attitudes and beliefs – those old paradigms – are finally broken.